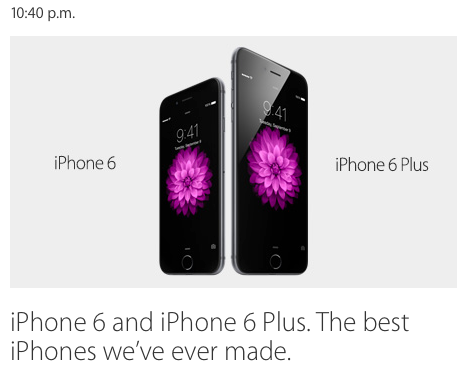 There are launches and then there is launch of an iPhone. Undoubtedly the biggest launch in the industry, the invites of this launch scheduled for 9th September were sent well in advance. What was surprising was that the invites were sent to leading fashionistas and fashion bloggers putting the speculation rife that Apple’s watch will be unveiled in this event. Exactly at 10.30 IST, the event started and although Apple announced that live video streaming will be available for the event on their website the video streaming stopped after few minutes into the launch. However the live updates were available for all to see and digest. Tim Cook took the stage and after a nostalgic trip the iPhone 6 was launched. Today we are pleased to announce the biggest announcement in iPhone is how Tim Cook started the session and the launch. Jaipur Beat was following the launch of these Apple products with bated breath. This is our take on the new products from Apple. 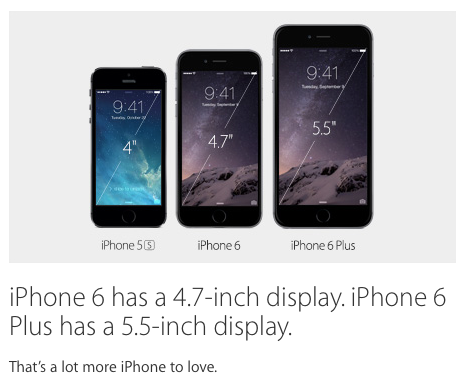 Size : The size of iPhone 6 is 5.44″ * 2.64″ and 6 Plus is 6.22″ * 3.02″. The iPhone 6 and 6 Plus weighs 129 grams and 172 grams respectively. Despite big size these iPhones surely are leaner and maybe meaner. Shape: The new iPhone comes with continuous seamless design with a combination of anodized aluminium, stainless steel and glass. So no sharp edges in the corner, this one comes with curves on the side. Apart from the new shape, these iPhone are one of the thinnest iPhones ever. 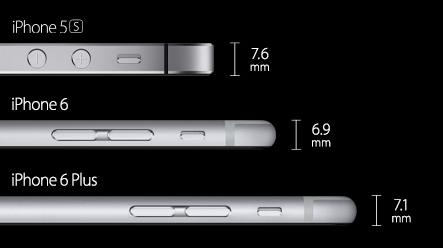 At 6.9 mm, iPhone 6 is the thinnest iPhone currently. Even the iPhone plus is thinner than iPhone 5s despite its big size and display. The biggest change is the shift of power button which moves to the right side of the phone from the conventional right hand top. The volume buttons are also flat as compared to round in iPhone 5S. Display : The new iPhone comes with the screen size of 4.7″ (iPhone 6) and 5.5″ (iPhone 6 Plus) multi touch display with IPS technology. Gone are the days when we used to say small is beautiful and handy. These iPhones are big and maybe bulky at times. So after all the size does matter 😉 Both of these come with the standard Retina display. iPhone 6 has a resolution of 1334 * 750 at 326 pixels per inch. That’s a serious resolution to have on a phone but iPhone 6 plus is really a plus when it comes to display. It comes with 1920 * 1080 at 401 pixels per inch. 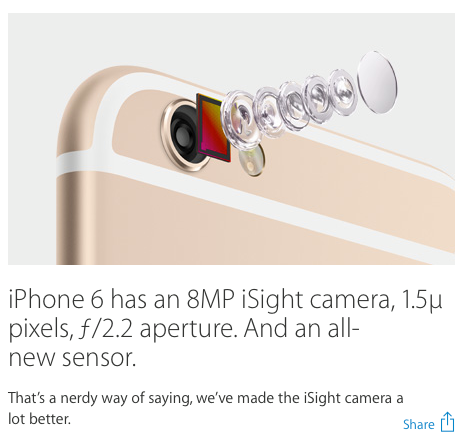 That’s full 1080p HD resolution in your pocket at 5.5″. 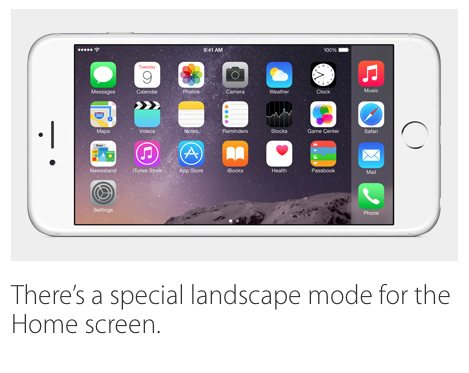 The iPhone 6 comes with a new landscape view on home screen itself. Processor : Both the iPhones come with Apple designed A8 chip. This chip has upto 25% faster processing power and upto 50% faster graphics power than its predecessor. The A8 chip is built on second-generation 64-bit desktop-class architecture. Its incredible power is enhanced by an M8 motion coprocessor that efficiently measures your activity from advanced sensors, including a new barometer. Camera : As we all know, iPhone is one of the major reasons why every person is turning into a photographer these days. Now the 8MP iSight Camera with f/2.2 aperture has a new sensor with Focus Pixels and new video features, like 1080p HD at 60 fps, slo-mo at 240 fps, and time-lapse video mode. 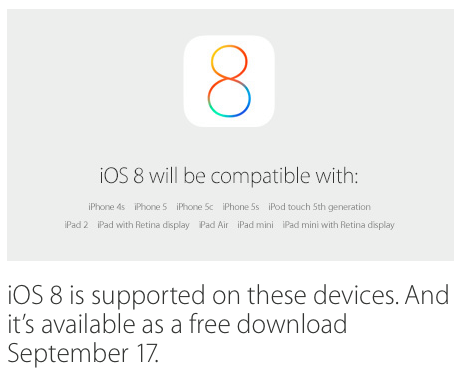 iOS 8 : iOS 8 is the world’s most advanced mobile operating system. With incredible new features designed to make the most of a larger display, iOS 8 is smooth and makes every moment feel bigger and better. 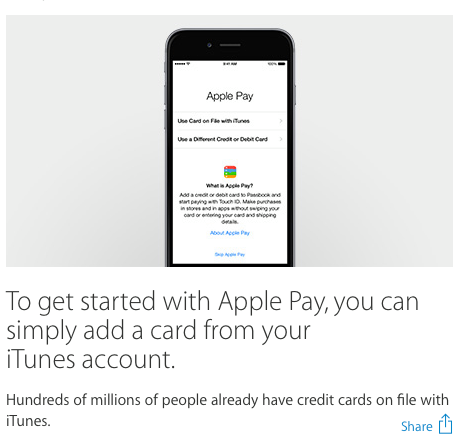 Apple Pay : Dear Wallet, your days are numbered because Apple Pay intends to replace you. Now paying in stores happens with just one touch ! The Near Field Communication antenna in iPhone 6 allows you to pay by just holding your iPhone near the contactless reader with your finger on Touch ID. Battery : With increased battery life, iPhone 6 lets you do more, for longer than ever. iPhone 6 will offer almost the same battery life as iPhone 5s however iPhone 6 Plus will come with bigger battery to compliment its size.